A clean, portfolio inspired custom facebook page layout for your business/portfolio. Show your facebook audience that you really mean business with a professionally designed facebook page layout. Showcase your latest work, offer more information, give special offers, the possibilities are endless! 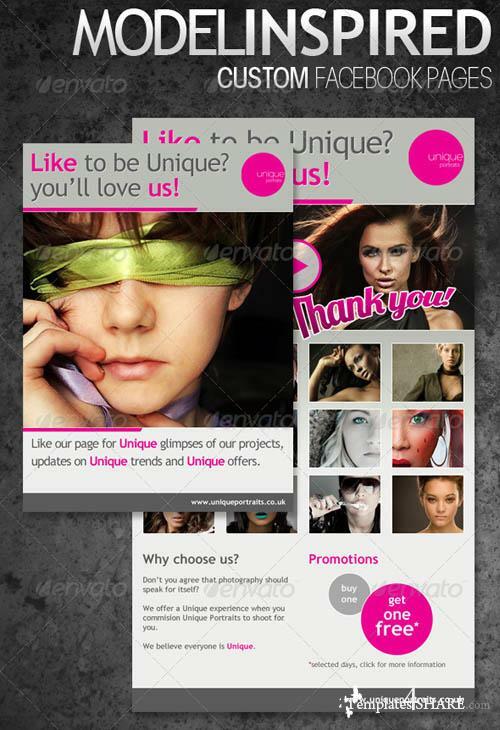 The page layouts are designed upon a 520 grid system and can easily be coded to insert into Facebook through an iFrame.